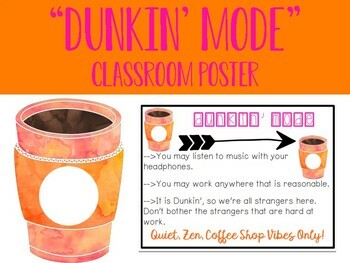 This is a one-page poster that can be displayed in your classroom when it is time for students to work individually. This poster can be printed as is, viewed in PDF format on your smart board or projector, or printed on large poster paper. You may listen to music with your headphones. You may work anywhere that is reasonable. 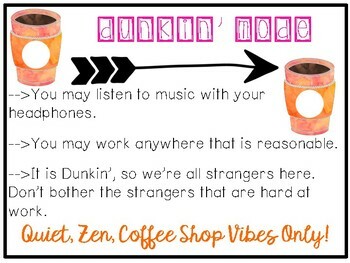 It is Dunkin', so we're all strangers here. Don't bother the strangers that are hard at work.